Yesterday when I posted about various blooms in the garden right now, how many times did I say "deer like to eat this one" or "deer pruned this one for me"? Too many times. 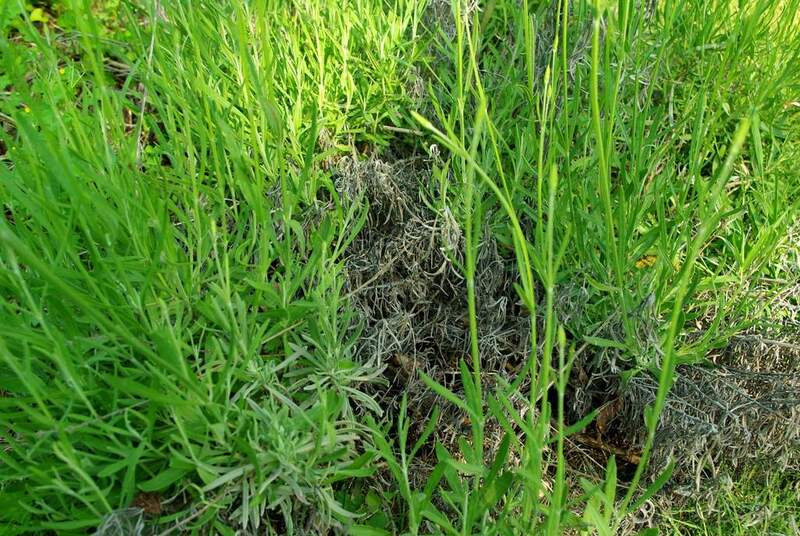 I do grow a few plants that the deer won't touch, and one of them is lavender. 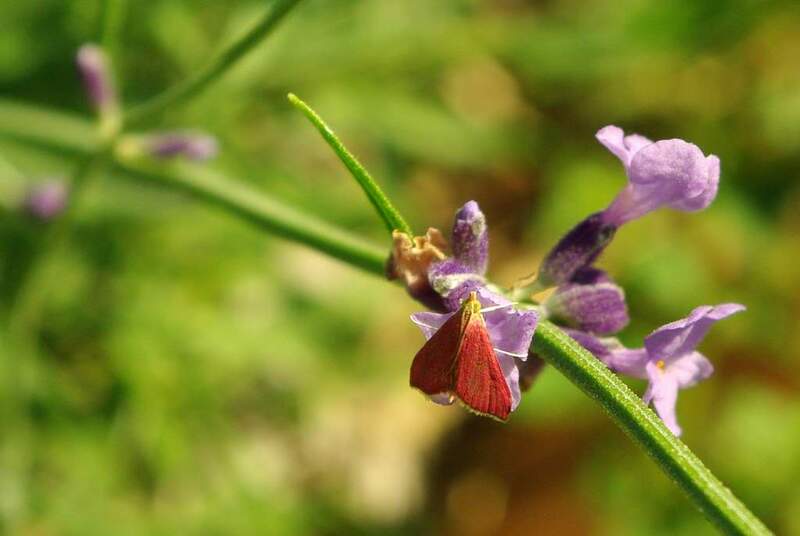 It seems everybody I give a tour of my garden to loves the lavender, but is surprised that it grows here. 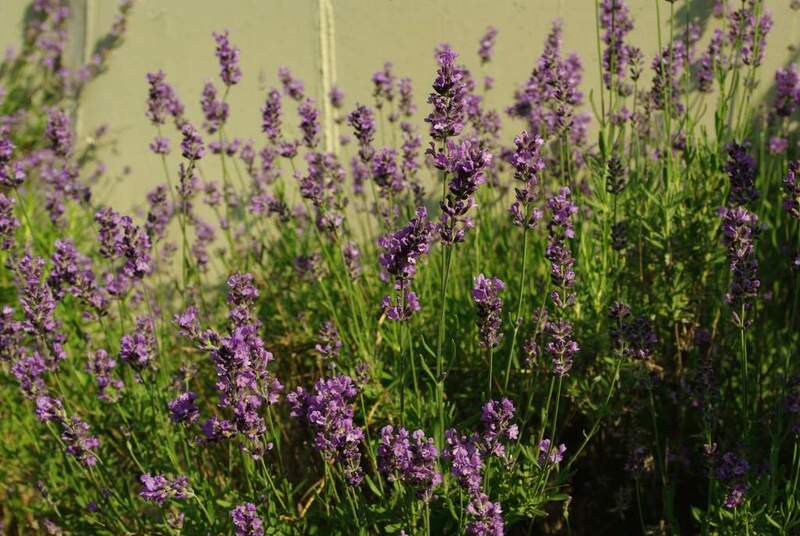 Either people assume that it's just too cold here for lavender to overwinter so they've never tried growing it, or they have tried growing it and it didn't survive the winter. 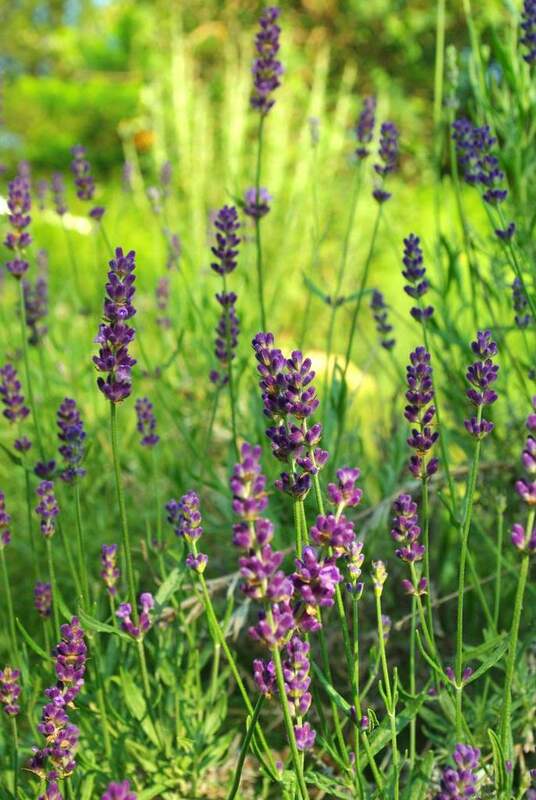 The key to getting lavender to overwinter here is to make sure that the roots don't stay too wet. 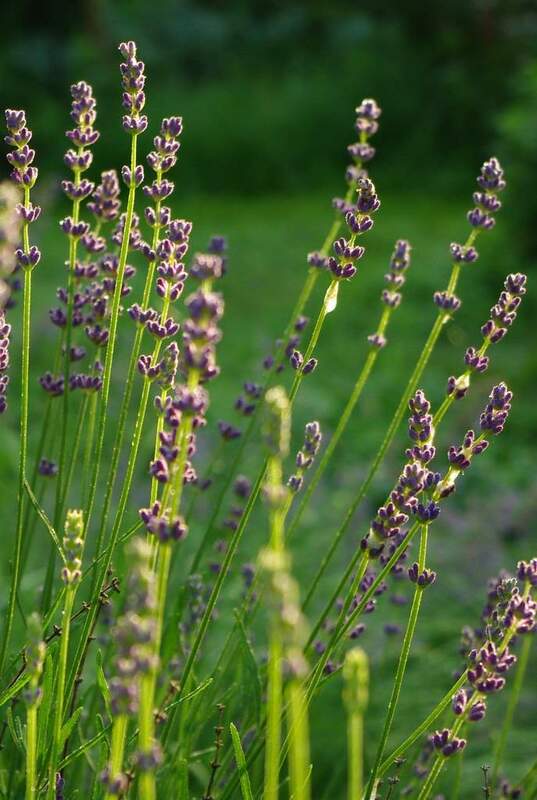 We do have fairly wet winters here, but if the lavender is planted where it has good drainage it should be okay. 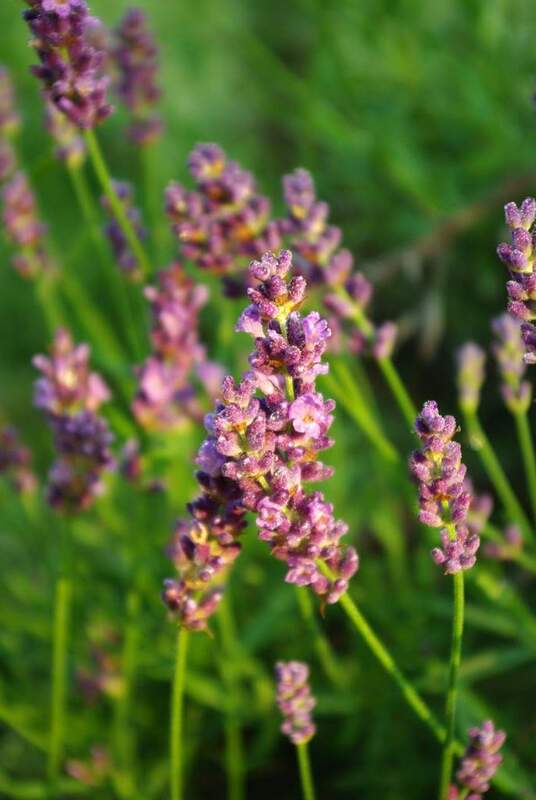 This is 'hidcote' lavender that I grew from seed. It's been in these raised beds for several years, and has done great. This area just bakes in the summer as it has full Southern exposure with no shade until 3 PM or so. The lavender love it. They can easily handle the heat. 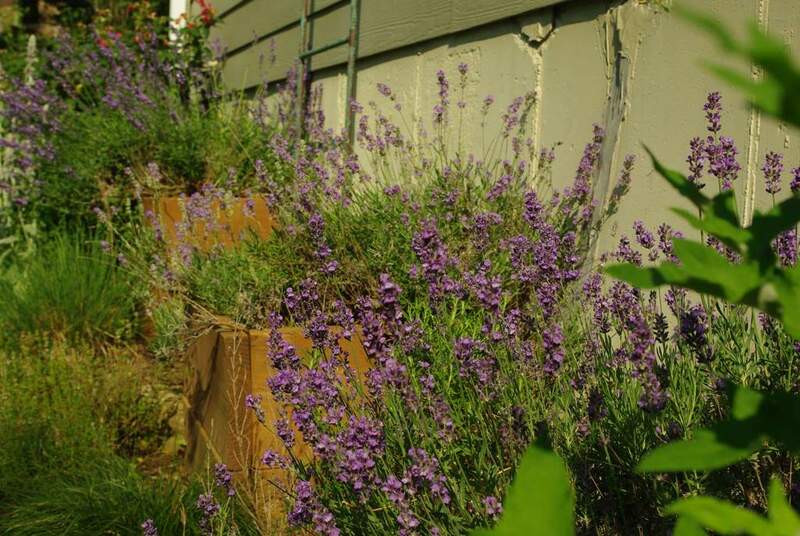 I've had success with other lavender plants near the top of a slope too. You can see that there was considerable dieback this year. The plant should be relatively good looking later this year though. 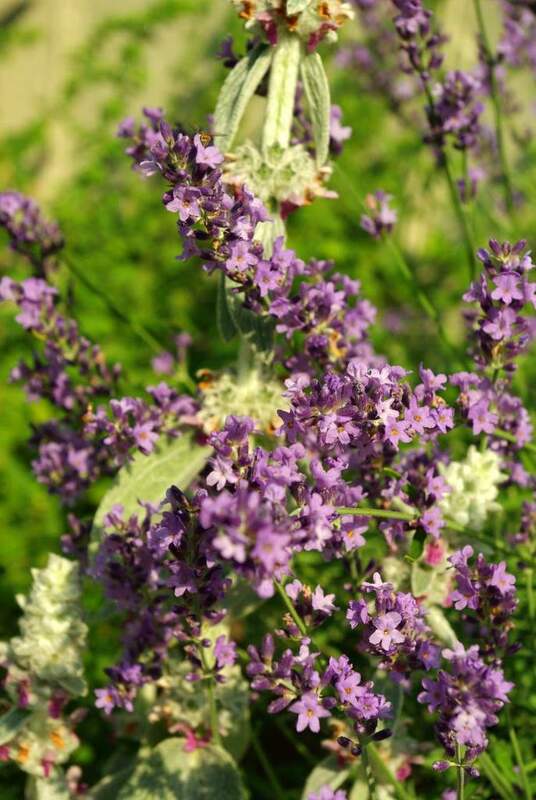 I really love plants that bees and other pollinators love! 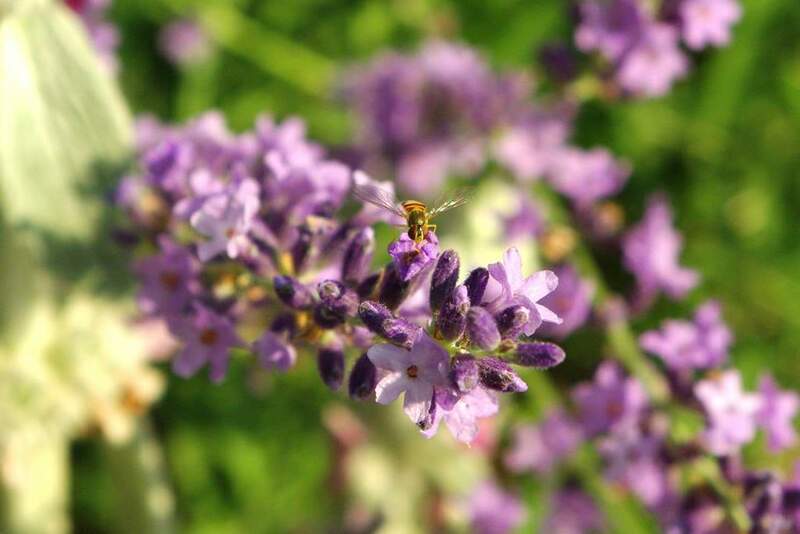 I'll never be able to grow the huge, bush-like lavender plants that I see in gardens in California and similar climates, but it's a plant that I definitely would not be without.